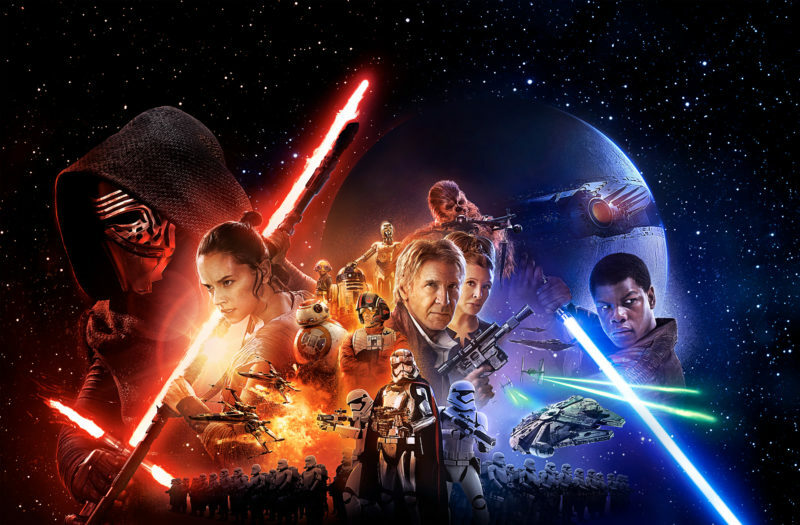 Star Wars Movie Night: The Force Awakens! Welcome to this month’s Blogorail Teal loop. Today we are sharing fun ideas for a Star Wars themed movie night. Last Saturday night, my wife, daughter, her boyfriend, and I sat down to watch Star Wars: The Force Awakens via our iTunes library and our Apple TV. For Sophie and Joseph, this movie was the first movie they ever saw together when we saw it a little over a year ago in the theater. For me, this was the first Star Wars movie that I actually saw in the theater (unless you count the animated Clone Wars movie some years back). For all of us, it really was just a good opportunity to sit down, enjoy a good movie, and eat some snacks. To be honest, though, I’m just not as creative as my friends Lynn and Camille are, and not having any young children at the house (and not celebrating a birthday for that matter), the whole creative snack foods ideas kind of went the way of Han Solo at the hands of Kylo Ren…which you can see further down in this Lego mock up. 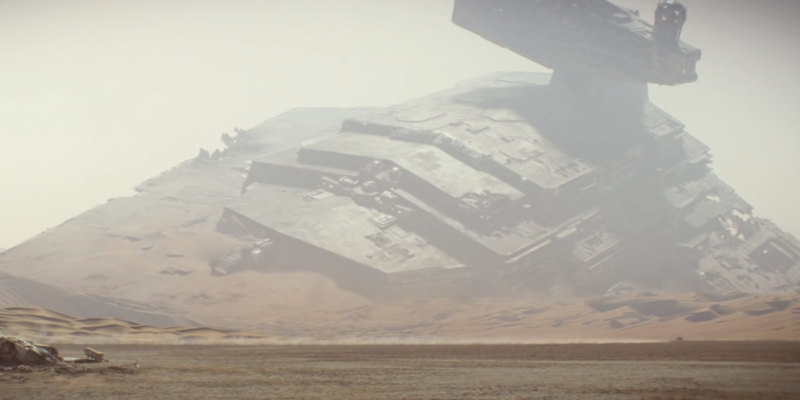 I’m hoping that my post isn’t as bad as this crashed Star Destroyer…of course, I leave that up to all of you! Still, I really do like Star Wars: The Force Awakens, and I’m glad that I’ve added it to our library. While my post may not feature quite the crafty creative spin that my friends at Always Moving Mommy and Sparks of Magic likely will, I hope you have enjoyed my post. If you haven’t seen the movie yet, well, I’m sorry for the spoiler. If you have, perhaps you will think about watching it again in the comfort of your own home. If you do come up with some of these creative snacks, drop me a line or a comment and let me know how they turned out! 1st Stop – My Dreams of Disney | Star Wars Movie Night: The Force Awakens! Wordless Wednesday – Star Wars Weekends! 37 Days til Disneyland – Jedi Training Academy! Haha! You are too funny and kind, Mike! Oh my gosh, I have never seen the Lego version of Hans vs Kylo… :( Oh my. I can now say that Legos made me cry. LOL. You could have just used popsicles for lightsabers and claimed you spent 5 days making them! Missed opportunity, padawan! Maybe Lynn, I’m not going to commit to that just yet. :) Thanks for the comment!